As companies adapt to the buying habits of millennials, they are responding to the demand for goods to be customizable and to ship fast. Bespoke furniture has long been something only more affluent demographics could afford, which is what designer Christiane Lemieux is looking to making change with her furniture startup,The Inside, specializing in made-to-order furniture available for any kind of budget. 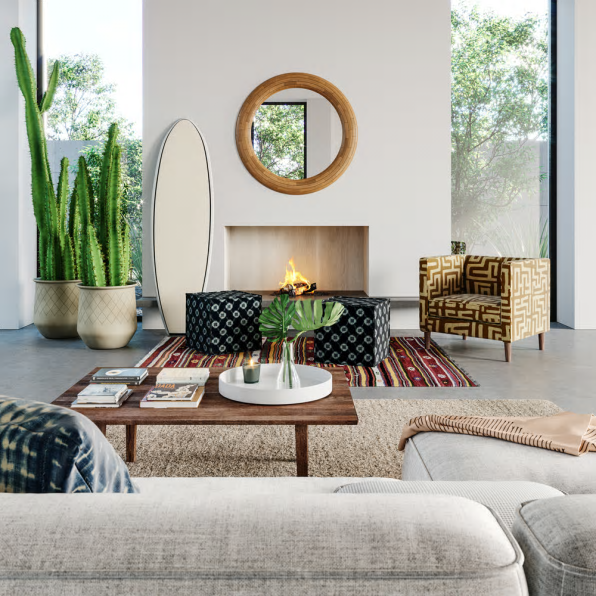 Lemieux, who previously founded DwellStudio (subsequently sold to Wayfair), is looking to bring her design aesthetic to pieces such as armchairs and bed frames. The company operates with no overhead, as the customers can design and order their furniture online, keeping prices low. The piece is then made in America and shipped within 3 weeks, retailing at as little as $299 for a new armchair. Many consumers worry about buying furniture online and not being able to see the pieces in person. Accordingly, The Inside uses digital 3D renderings to “[create] images of armchairs and bed frames in various patterns, then putting the pieces together to create a unified room,” helping to better inform customers in the pre-purchase stage. The Inside hopes to take advantage of the latest technology to democratize customizable home wares, making the combination of fast furniture and quality, bespoke designs a reality for any customer.